Bangkok, Thailand is one of the world’s top travel destinations. The capital city ceaselessly attracts tourists with its dazzling and exotic beauty, so it is no surprise that many consider it to be the world’s best city. Bangkok’s appeal has everything to do with its incredible combination of ancient and modern. The city is glittering with temples, royal palaces, and museums, yet it is interspersed with ultra-modern shopping malls, cheap marketplaces, and a roaring nightlife. Before you board that red-eye, however, be sure to check out Mad Monkey’s complete backpacker’s guide to the capital in order to make your trip the best one it can be! Where you should stay in Bangkok completely depends on what it is you are looking for. From high-end accommodation to the most affordable of hostels for budget travellers, here is everything you need to know before booking your stay in Bangkok. Bangkok is littered with luxury hotels. If enjoying the finer things in life in a foreign city is what you want, then Bangkok is the place to be. There is no other city in the world that offers such a vast array of silver-service and five-star pampering. Luxurious hotels line the Chao Phraya River and tower above the city centre. They are equipped with hundreds of rooms and even better views of the sprawling city below. For more information on recommended luxury hotels in the capital, visit our complete guide on these fancy accommodation options. Khao San Road, being the backpacker centre of the universe, deserves its own list of best accommodation options. You will be delighted to find that this short road has plenty of choices for hotels and hostels. From Thai-style backpackers hubs to cozy guesthouses and more, Khao San is the place to be. Mad Monkey Hostel Bangkok is but a five-minute walk from this crazy stretch of road, as well. For more information on the best accommodations near Khao San Road and more, check out this comprehensive guide! If you wish to stay near the Suvarnabhumi International Airport (BKK), there are many excellent accommodations nearby. Simply make your way through immigration and call it a day at one of the many hotels found near the airport. For more information on these hotels including their amenities and what to expect, visit our guide to the Suvarnabhumi International Airport Bangkok. Great service does not have to be sacrificed for price, and this is exactly the case at the many incredible and affordable hostels in Bangkok, Thailand. All of the hostels that are budget-friendly are normally cozy yet know how to party, and you are guaranteed to make a few friends during your stay. Mad Monkey Hostel Bangkok is but a stone’s throw away from the craziness of Khao San Road, as well, equipped with a great staff and comfortable dorm rooms with private ensuites to boot. For more information on these cheap but great Bangkok hostels, their addresses, and links to their rates, check out our article on cheap hostels in Bangkok! Bangkok is equipped with plenty of cool areas and districts worth exploring. The street food haven is certainly Yaowarat Road in Chinatown. This one-kilometre strip of the street is teeming with street-side cuisine and hidden gems of excellent four and five stars restaurants that drive gourmands crazy, plus market stalls, gold shops, wooden shop-houses. 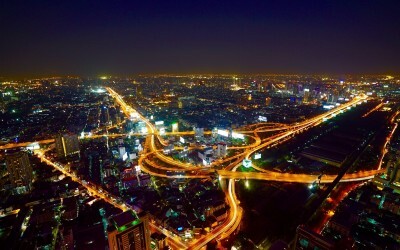 Red-light districts, cosmopolitan areas, historic and secret areas of the city: Bangkok has it all. For a comprehensive guide, including recommendations on what to do and where to stay (be it a hotel or hostel) in each district, check out where to go in Bangkok according to our district and area guide. When thinking about what things to see and do in Bangkok, be rest assured that you will never run out of attractions to visit. From art galleries to museums to temples and more, get ready to explore as we roll out the top attractions in the city! 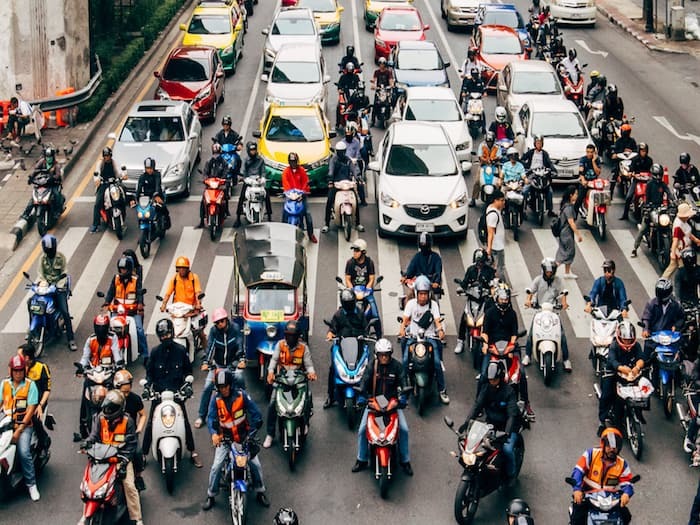 Luckily for those with a need for two-wheel speed in Bangkok, there are plenty of places where cycling is safe, enjoyable, and affordable. The island of Bang Krachao is a good choice for cyclists. Bicycles can be rented for an entire day here for only ฿50 (approximately $1.50). Benjakiti Park is another great option. It is equipped with two paths: one for pedestrians and one for cyclists. Cycling here it is a great way to spend an afternoon in the City of Angels. Other great places to cycle include Lumpini Park and Ko Kret, both of which are found in the City of Angels. To read the whole story on the best places to go cycling in Bangkok, check out our complete guide. If you are a cinephile, you would be surprised at how amazing and top-of-the-line cinemas in Bangkok are. From luxurious movie houses to charming retro cinemas, the city has it all. Bangkok is filled with high-tech cinemas to choose from, with awesome perks for a more exciting movie-watching experience. For a more detailed description of these highly recommended movie houses, plus their ticket price, visit our article about the best movie theatres in Bangkok. If you are an art enthusiast or a culture vulture, you will be delighted to find amazing art galleries and museums throughout Bangkok. 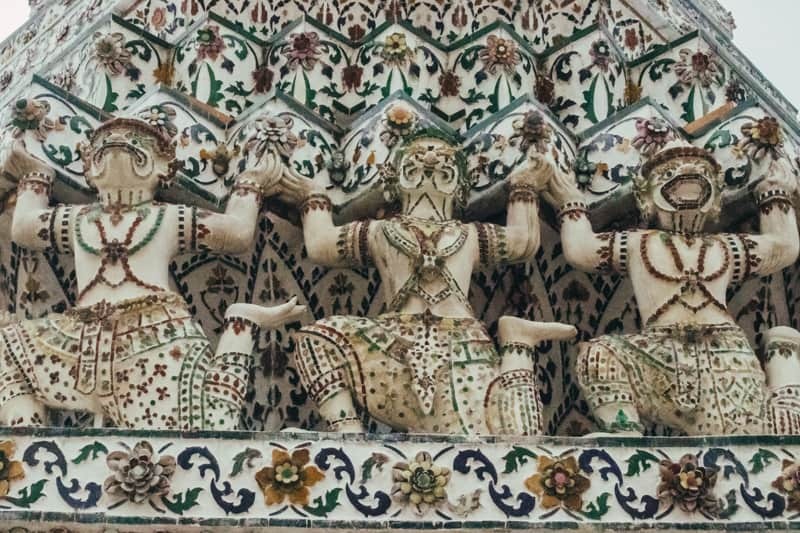 Thailand’s culture is greatly influenced by India, China, Cambodia, and other countries in Southeast Asia. Most of the country practices Theravada Buddhism. 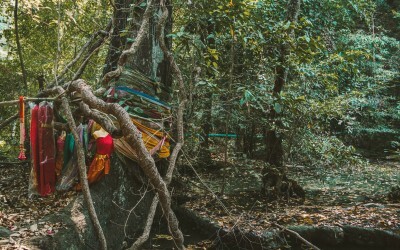 Today, contemporary art in Thailand interprets their rich and complex cultural heritage in new and exciting ways. Aside from the visual arts, Thailand also enjoys a thriving film and literary industry. Check out our guide to the Bangkok culture, art galleries, and museums in Bangkok for more information. With some 400 temples or wats, to choose from in the City of Angels, deciding which ones to visit while frequenting the capital can be quite the challenge. Wat Phra Kaew, or the Temple of the Emerald Buddha, is one of the most stunning and visited religious structures in the entire country. It is found on the grounds of the Grand Palace. Just down the road from Wat Phra Kaew is Wat Pho, where visitors will find a giant reclining Buddha. Remember to cover up, as many temples will not allow visitors in if their shoulders, chest, or knees are showing. 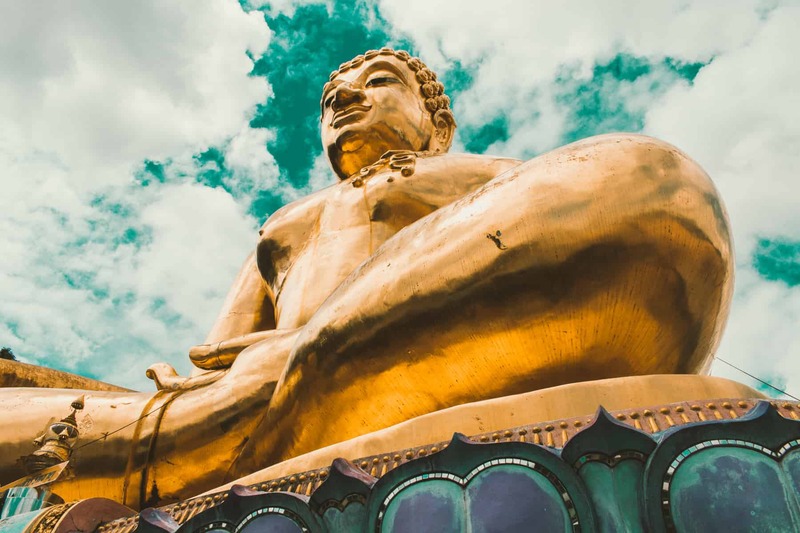 For more information about the top temples in the city, entrance fees, and more, check out our article on the top temples in Bangkok. Nestled in the heart of Bangkok and on the banks of the Chao Phraya River lies one of the city’s greatest attractions: the Grand Palace. This dazzling landmark is a complex of stunning buildings. It was the official residence of the kings of Siam (later Thailand) from 1782 until 1925. Today, the Grand Palace is still used for annual state functions, royal ceremonies, and other official events — and, of course, as a tourist attraction. Within its walls are temples, palaces, chapels, pavilions, and courtyards. For more information on the Grand Palace, including its history, architecture, and buildings, check out our guide to the Grand Palace for backpackers. You have heard so many exciting things about Bangkok — the impressive wats, the super-shopping bazaars, Thailand’s rich culture and history, the trendy bars … and you just do not know where to start. Yes, Bangkok has plenty of tourist attractions, but, of course, there are tourist spots that are definitely must-visits. The places that stand out among the rest include experiencing backpacker central Khao San Road, taking a Chao Phraya River cruise, strolling through Siam Square, visiting the Grand Palace and Wat Arun … just to name a few. For a brief guide for each, check out our article on 10 essential things to do and see in Bangkok. If you have even more time in the city, then check out the top 20 essential places to visit in Bangkok! If you are looking to explore Bangkok’s artsy scene, look no further than our complete guide for art-lovers coming to the capital. We are here to direct you to the coolest of finds, like the Bangkok National Museum. It is one of the largest and most comprehensive of collections of all things Thai history and art. Nestled along the canals of the Chao Phraya River in Thonburi is the Artist’s House. Inside visitors will find the house is filled with artistic souvenirs available for purchase. The house itself is a work of art, as well. Be sure to check out the Bangkok Art and Culture Centre. It is here you will see even more amazing works of art. There are always many interesting exhibitions being held at this extravagant gallery. If you want to base your vacation around the most eye-candy areas in Bangkok, we have 20 suggestions on where you should go to pose, point, and shoot with your camera. Whether you are an amateur or professional photographer or a hard-core Instagrammer, you will be delighted with the list that we came up with, which includes the spectacular Bangkok landmark that is the Temple of the Dawn, or Wat Arun. For the complete list, be sure to take a look at our comprehensive article on the top 20 photography spots in the City of Angels! Social enterprises in Bangkok are booming. A new batch of young entrepreneurs are always looking to create businesses that are not only creating maximum profit for individuals but their endeavors also address social problems and generate income for those who need it most. 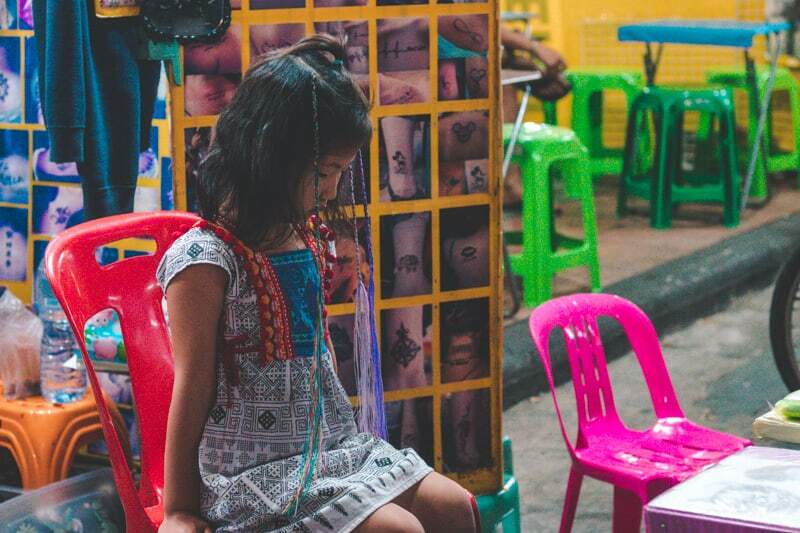 For more information on these inspiring social enterprises, visit our article on some of the most noteworthy social enterprises in Bangkok. If you are hitting Southeast Asia, you will be delighted to take your work to Bangkok as a location independent worker. The capital city of Thailand has a terrific infrastructure and is one of the major hubs for digital nomads. You can easily and inexpensively get to places. It is also conveniently littered with shopping centers, markets, and fantastic food. Not to mention the great tropical climate, the world-renowned nightlife, and the friendly locals and multicultural folks that you will meet on your journey along the way. With the surge of professional nomads, no wonder co-working spaces have sprouted in Bangkok. For more a detailed overview of our favourite co-working spaces in Bangkok, visit our article on the best co-working spaces in the city. Bangkok’s reputation as being a hub for the most amazing nightlife venues is a major reason why tourists are drawn to this city every single year. You will also be pleased to find that the city’s nightlife is as safe as it is intense. Law enforcement is strict, and bars and clubs are forced to stop operations by about 2 a.m. Tourists are also advised to keep their passports for occasional ID checks from the police. This stark discipline has resulted in a significant drop in Bangkok’s crime rate, so party on, people! If you are backpacking through Southeast Asia and find yourself in the vibrant, exotic, and modern capital city of Thailand and need a guide to the best places to experience that world-renowned nightlife, we have an entire list of recommended places. For more details on these incredible bars, segregated by area, district, and more check out our Bangkok nightlife guide. If you are scouring Bangkok for cheap booze or simply a fantastic bar to chill at, then we have got you covered. We narrowed down the top backpacker bars in Bangkok. These bars have something special to offer every visitor, whether that be the reasonable prices for drinks, the excellent ambiance of the venue, or great music. We have compiled Rolling Bar, Cheap Charlie’s, Phra Nakorn Bar and Gallery, and many more for you to enjoy while backpacking through Bangkok. For a detailed overview of our top 10 picks of the best backpacker bars, visit the top backpacker bars in Bangkok. 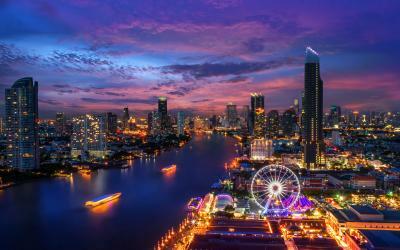 Do you want to enjoy one of Bangkok’s sunsets whilst drinking a fancy cocktail and enjoying 360-degree views? Then you need to check out our complete guide to the best rooftop bars in Bangkok. We have compiled all you need to know about where to drink from one too many storeys above the city. Pretend to be like Bradley Cooper from The Hangover Part II and head to Sky Bar at Le Bua State Tower. Head to Above Eleven for some killer music and even better views. The options are endless! 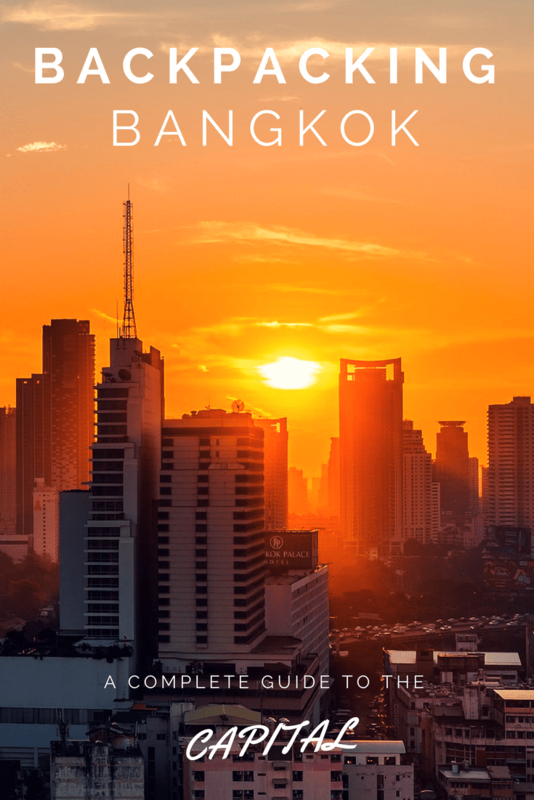 With so many things to see and do in Bangkok, it is rather difficult to make an itinerary, especially if you have a limited amount of time in this vibrant city. Do not fret: if you have 24 hours or 10 days in the country, we have got you covered. 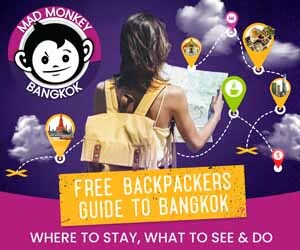 Find more itineraries to Bangkok and Thailand below! If you only have 24 hours in the dazzling city of Bangkok, you might like our recommended full-day tour. In the morning, you have to grab one of the country’s staple dishes for breakfast: jok. Then visit the Temple of the Reclining Buddha, or Wat Pho, which is one of the biggest and oldest temples in Bangkok. Still, for your morning agenda, take a public ferry that crosses the Chao Phraya River to visit the Temple of Dawn or Wat Arun. Be stunned by the glittering effect of the temple during daylight. Then purchase some souvenirs and head out later to enjoy the incredible nightlife. For a more detailed 24-hour itinerary, visit our article about how to spend your day here! If you are only staying in Bangkok for 72 hours, then you are in luck. We suggest that your first day is spent checking out all of the temples and markets. If you happen to visit during the weekend, be sure to check out the Chatuchak Weekend Market. If you are in Bankok during the week, then other markets you can visit include the Damnoen Saduak Floating Market, Amphawa Floating Market, or the Bang Nam Pheum Floating Market. On your second day, you should indulge in history and architecture. For your third and final day in Bangkok, experience the city’s shopping and nightlife. Start off at the luxurious Siam Paragon. Then visit Chinatown. Finally, end your day with an amazing nightlife at the famous backpacker hub: Khao San Road. For even more information on our recommended three-day Bangkok tour, check out our complete guide. Bangkok is a city known for its epic and plethora of day trips. Venture to one of the many floating markets for an afternoon and enjoy shopping and sightseeing. If you are a self-proclaimed foodie, then indulge in the some of the country’s most delicious cuisine at a Thai cooking class. There are so many places that offer half and full-day cooking lessons that will teach you how to make the most delicious of dishes, desserts, and more. If you are wanting to get in a bit of exercise while seeing some of Thailand’s most beautiful countryside, then a day trip to Khao Yai National Park is the day trip for you. If you want even more information about day trips from the capital, then be sure to read our entire article on some of the best day trips from Bangkok. We know that planning an itinerary can be tough, especially in a country as interesting as Thailand. For those of you with limited vacation days but a huge appetite for travel, we have laid out the perfect 10-day guide to the Land of Smiles. Your trip will begin in the epic capital before heading down south to enjoy the beachside vibes of Krabi and Koh Phi Phi. You will then head to Northern Thailand and enjoy the delicious cuisine and incredible mountainous terrain. For more information on how to spend 10 days in Thailand, check out our comprehensive guide breaking down everything you need to know. There are plenty of amazing destinations found just a few hours outside of the city and are worth a visit. We want to help make your trip to Bangkok (and outside of it) the most memorable one that it can be, so here is a comprehensive list of what to do outside of Bangkok! If you are wanting to vacate the capital, then you need to check out our complete guide to the best destinations you should visit on the weekends. If you are digging Thailand’s island vibes, then Koh Samet is the place to be. This island is but a four-hour drive (or less) from the capital and is equipped with great beaches, stunning and artistic statues, and an epic nightlife scene. 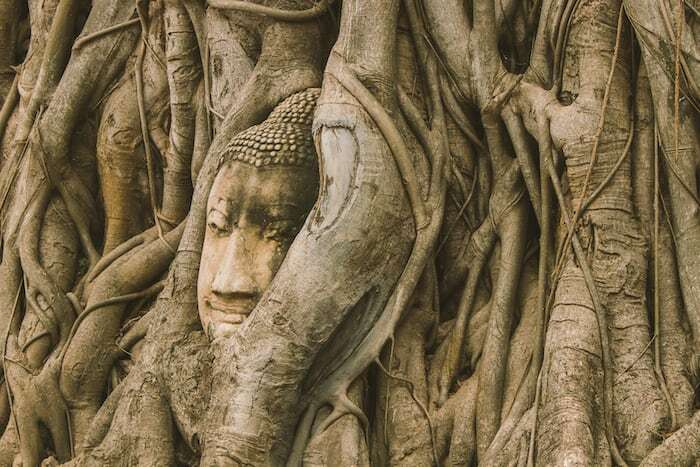 For a more historical destination, be sure to check out Ayutthaya, home to the Ayutthaya Historical Park. There are two bus stations in Bangkok that are at the ready to take visitors to many of destinations, so get ready to explore! If you want some fresh air outside of Bangkok, then you need to check out our guide on how to spend a few days in Hua Hin. This beachside city is but a few hours from the capital and is totally worth visiting for those travellers to Thailand who have vacation days to spare. The city is equipped with plenty of beaches to enjoy during the day. 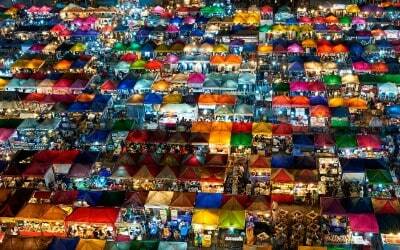 Shop at the Hua Hin Night Market after dark. 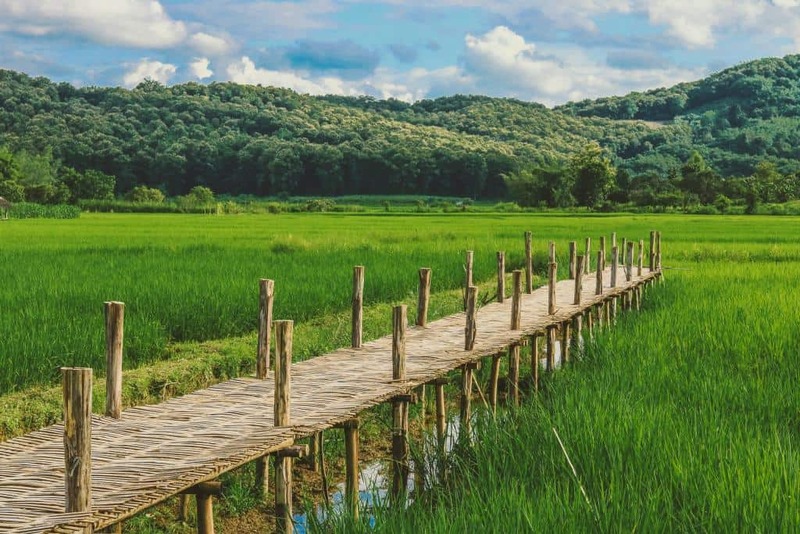 Trek at the Khao Sam Roi Yot National Park and take in the incredible views of the Gulf of Thailand. The number of things to see and do here is endless! Did you know that Bangkok is one of the most awesome shopping meccas in Southeast Asia? 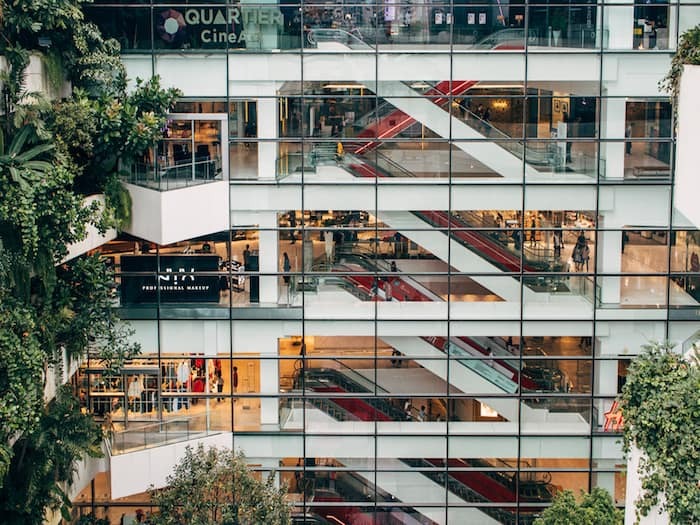 From exciting bazaars to the most luxurious of megamalls, you will be surprised with the variety of malls, rivalling in size, gimmick, and architecture, and, of course, products. Shopaholics rejoice! Bangkok’s largest market, the Chatuchak Weekend Market, is a must-visit for bargain and shopping addicts: it has more than 8,000 stalls selling a wide variety of goods. If you are looking for ambience in your market-shopping experience, visit Asiatique. This open-air riverfront night market overlooks the Chao Praya River. It has over 1,500 boutiques and 40 restaurants and bars. If you are a novelty or vintage item collector, then Rot Fai Market is your place. 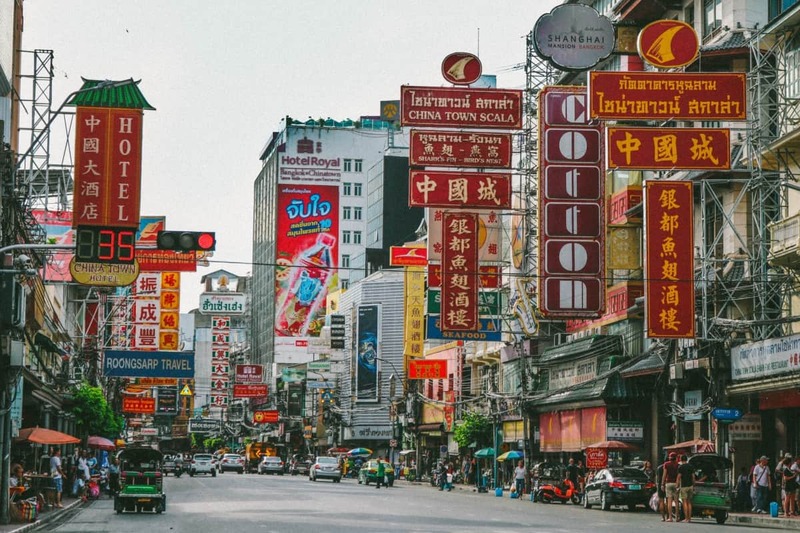 For a detailed overview of the malls and markets that we mentioned, plus their opening hours and more, check out our article on the best markets in Bangkok. Bangkok is crawling malls, making it difficult to decide which ones to visit. There is CentralWorld, the sixth largest shopping mall in the world. It stands eight storeys high, is made up of two department stores and has more than 500 shops and 100 restaurants. EmQuartier is a futuristic, trendy, and luxury mall. It is complete with the famous atrium garden and waterfall. If you are shopping for gadgets and electronics, then visit the Pantip Plaza is a technophile’s paradise! 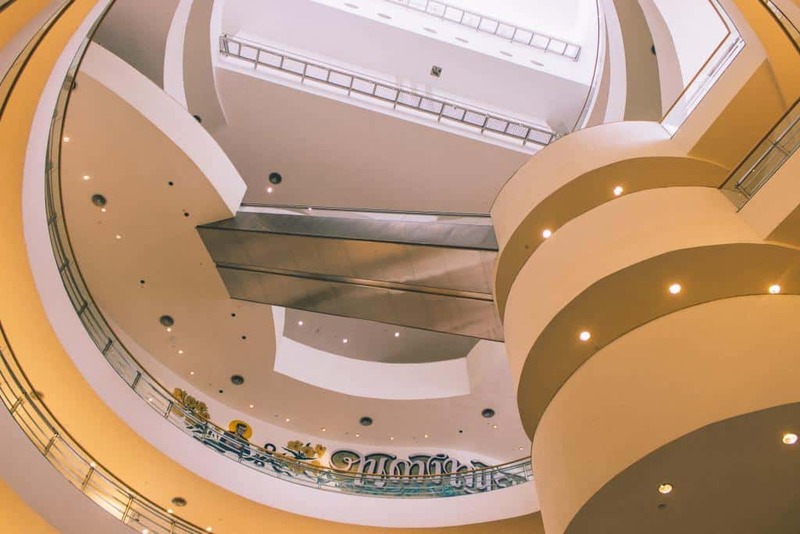 For even more information, check out our story on the best malls in the Big Mango! Bangkok has it all in terms of food. Bangkok is known as the outdoor dining capital of Asia, and the street food is nothing short of amazing. Here is everything you need to know about eating out (or on the streets) of the capital. Your trip to Bangkok will not be complete if you do not sit down on a plastic tool under the wide open sky and chow down on Thai street food. Pull up to a makeshift table and experience an explosion of exciting flavours. What makes Thai cuisine special is the blend of sweet, sour, salty, and spicy. The spiciness of a dish is balanced out by ingredients like sweet basil, cilantro, and lemongrass. Bangkok street food can be found in various places, including roadside carts, market stalls, and in shops. Take note that on Mondays, it is cleaning day in Bangkok. Most of the street food vendors take the day off, so do not be surprised if street food is scarce. For more information about everything food-related in Bangkok, be sure to check out our complete guide. There are loads of delicious Indian restaurants found in the dazzling city of Bangkok. If you are on the hunt for the best Indian eatery or restaurant, the best Masala, the best northern or southern Indian cuisine, the city of Bangkok has got you covered. Gaggan is a must-visit venue for those seeking a whole new level of Indian cuisine experience. For more information on our high-rated Indian restaurants in Bangkok, visit our article on the best Indian restaurants in the capital. While the city is absolutely teeming with delicious finds, the capital is known for being home to some of the best meat-free venues in all of Asia. Ethos is located but a stone’s throw away from Mad Monkey Hostel Bangkok. It is serving up huge portions of meat-free finds. Veganerie Concept is equipped with one of the largest selections of faux meat in the capital. Rasayana Raw Cafe is an outdoor, vegan eatery serving up food that is free of wheat, gluten, animal products, and dairy! Check out this article for more information about vegetarian restaurants in Bangkok! Loads of preparation should go into a trip before going on a backpacking adventure, especially to a place like Bangkok. What should you pack? When should you go? What scams should you be on the lookout for? Whatever questions you may be worrying about, fret not, as Mad Monkey has all of the answers! Bangkok has three seasons: cool, from November to February; hot, from March to May; and rainy, from June to October. Generally, however, it is warm and humid. April is the hottest month, and May is the last month of the high season. 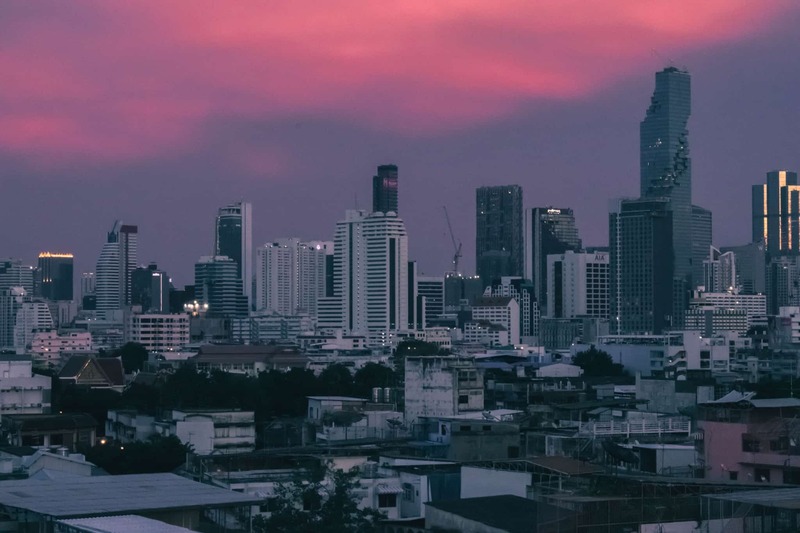 For a detailed breakdown of Bangkok’s weather for every month of the year, check out our article on Bangkok weather and how to survive each season. Before jetting off to Bangkok, you should have a good idea of what it is you will need on your trip to the Kingdom. What you pack will depend on a few things, including the season that you visit as well as what you plan to do in the country. With that being said, checking out our guide on what to pack on a trip to Thailand is a must. 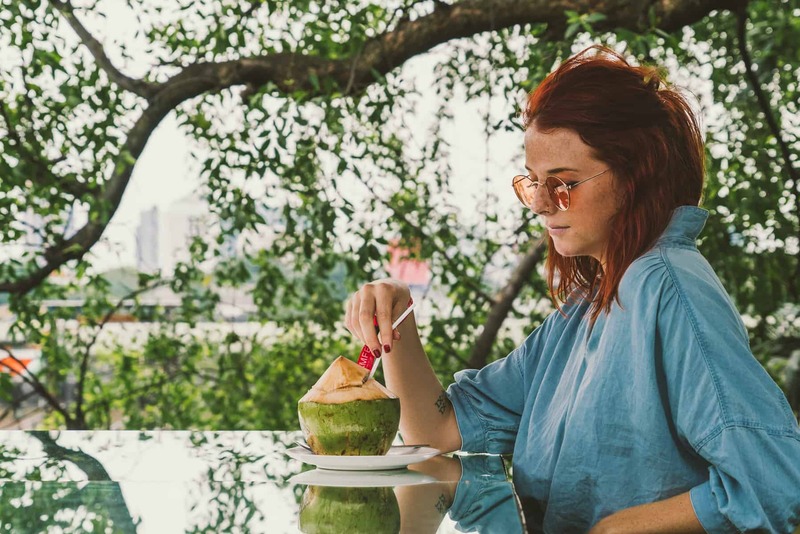 We break down everything you need to know about the seasons of Bangkok and what to pack for each one! With Bangkok’s plenty of options for transportation — from tuk-tuks to the sophisticated BTS Skytrain, it is easy to get around the capital. The MRT Subway and the BTS Skytrain are affordable and easy to use. Metered taxis are cheap and in abundance, but be sure that your driver uses a meter! Motorbike taxis are great forms of transportation if you find yourself running late. There is also an entire canal system running through the capital that will even take you right to Khao San Road. 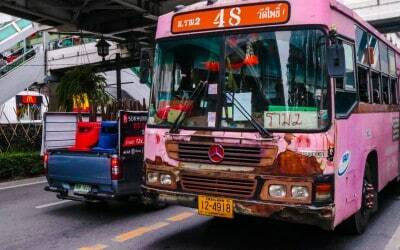 Be sure to check out our in-depth guide to getting around Bangkok for even more information and helpful tips. Travelling by bus is incredibly cheap in Thailand. As the capital of the country, Bangkok is equipped with not one but two major bus stations. They are the Northern and Southern Bus Terminals. Whether you are going a few hours away to the beachside city of Pattaya or venturing all the way to Siem Reap in Cambodia, there is a bus that will take you wherever it is your heart desires. For more information on how to get around the country by bus, check out our complete guide. Thailand’s tourism is big business. As tourists flock to the country, the number of scam artists out to victimize them has increased. Thailand is generally a safe, friendly, and happy country. Its tourism ministry and police are working hard to decrease the small number of scams that do occur on its visitors each year. 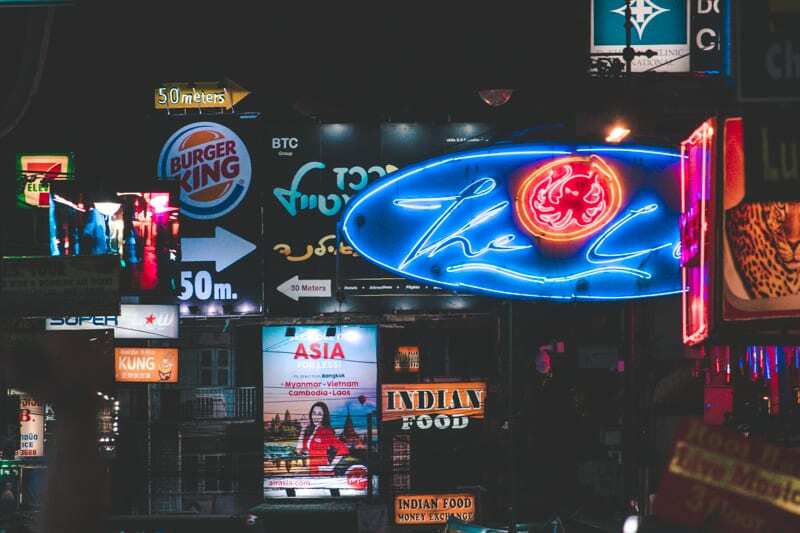 For more information about Bangkok scams to be aware of and the tell-tale signs of their modus operandi, as well as a helpful guide to avoid them, check out our complete guide to keep you safe and make your Bangkok trip enjoyable. To be caught doing a drug-related crime in Thailand is a huge nightmare, especially if you are a foreigner. The country takes its drug laws very seriously. Law enforcement officials even conduct nightly searches in nightclubs to inspect if anyone, citizen or not, is in possession of illegal drugs The punishment for violating drug laws can be severe. To be ignorant of Thailand’s drug laws is very dangerous. For more information and advice for backpackers in regards to drugs in Thailand, check out this article. There are so many incredible cities and places to visit in Thailand, so narrowing down which ones to include on your itinerary can certainly be tough. Luckily for you, Mad Monkey has travelled far and wide throughout the Land of Smiles and has the best recommendations on which cities you must see and why. Beach lovers will want to head to one of the incredible islands. Adventurous travellers may instead venture to Chiang Mai, a city that has one too many day trips to venture on. For more information, be sure to check out the entire story on our guide on the top 10 places to visit in Thailand! Before travelling to Bangkok, having a few Thai phrases in your back pocket will certainly help make your trip to Thailand a hassle-free one. Be sure to include the word kâ if you are a woman and kráp if you are a man at the end of every sentence you say. It is said out of respect. For more information about the Thai language and phrases, be sure to check out this awesome guide! Travelling alone can be an epic yet terrifying endeavour. Many of the bravest of backpackers will venture to the City of Angels, and we at Mad Monkey want to be sure that you have the best time ever in the capital while ridin’ solo. From where to stay to where to eat and more, we have got you covered. Check out this article where we break down everything you need to know when it comes to taking on the city alone. Enjoy! Many of backpackers travelling to Bangkok will be ballin’ on a budget. 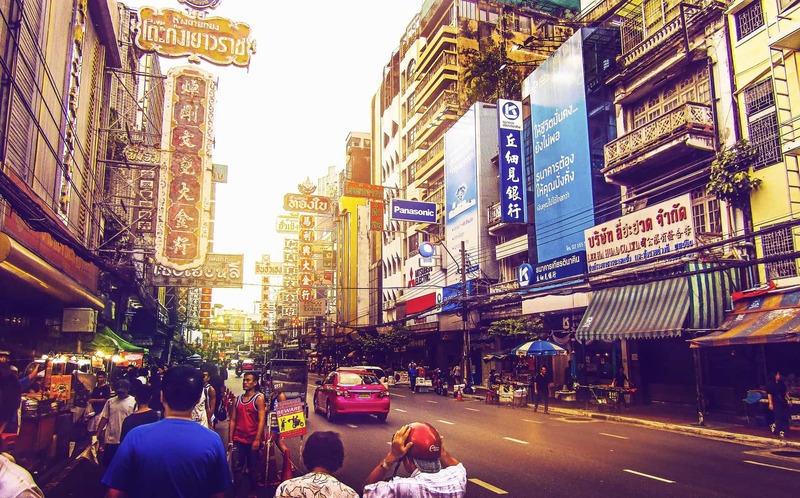 Fret not, as Bangkok is a relatively cheap city to travel in if you know how to do so. Most travellers to Thailand will receive a free 30-day visa on arrival when they fly into Thailand. If you arrive by land, you will get a 15-day on arrival visa. You can also get longer visas (60 days) in your home country prior to flying here. Visas can also be extended once in the country but for a price. Once arriving, you can save baht by staying at budget accommodation options, eating the delicious (and cheap) street food, and more. For more helpful tips on how to budget your trip, check out our stress-free guide to travelling Southeast Asia. Be sure to check websites including Skyscanner, Expedia, and Kayak as you prepare for your trip. Student Universe is another great website that offers discounted flights. It is normally cheaper to purchase your flights sooner rather than later. 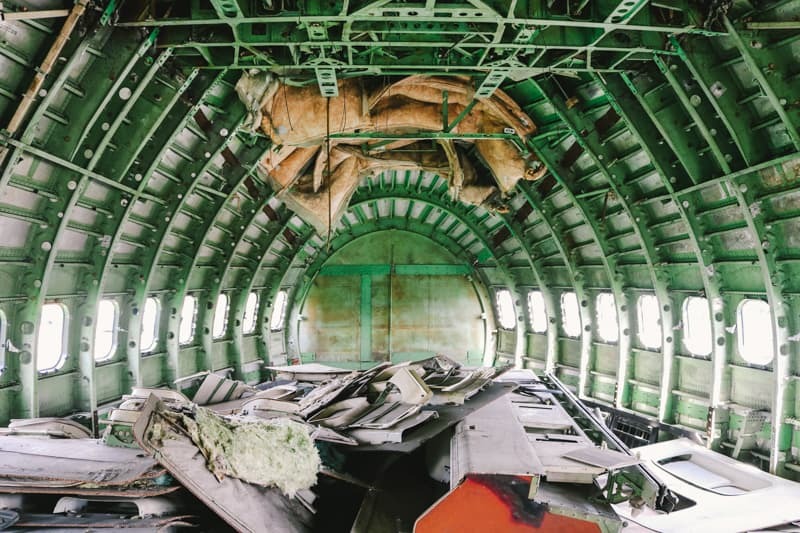 With that being said, flights in and around Southeast Asia after arriving are relatively cheap so booking flights plans after having arrived in the country will not hurt your wallet! Did you love this article about how to spend your time in Bangkok, Thailand? Do you want even more information on the best things to see and do, eat, and much more? 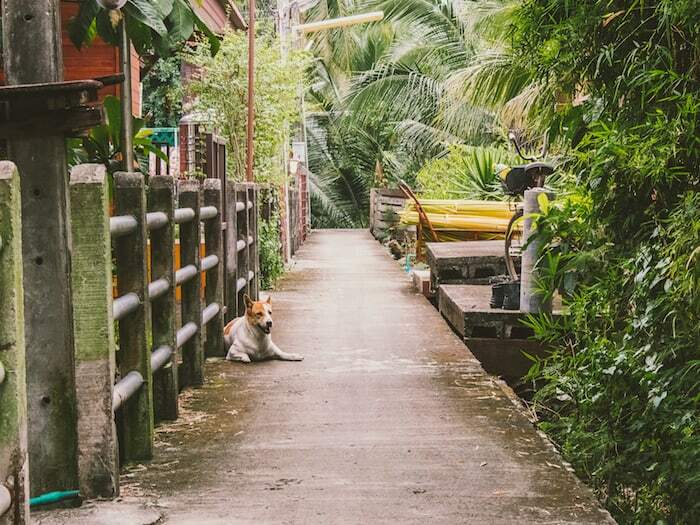 Then check out these other awesome articles that will ignite your inner wanderlust and have you heading straight to Bangkok!